I’m Biswajeet Samal, a cool and self-confident guy who believes to be happy & make others happy. I consider myself as a very ambitious, hardworking and sincere person. Programming is a major part of my life, and so writing technical blog articles, learning new programming languages and sharing knowledge with others is one of my hobby. I’m a certified Salesforce professional and an experienced consultant. My experience and projects normally includes Salesforce.com, Microsoft Dynamic CRM, C# and ASP.Net based applications and quite a few others. I began working with the Salesforce platform back in 2012 and have come a long way since then. It all started with administration and configuration but now I also indulge myself in custom development, when needed. I have been in awe of the Force.com platform to an extent where I decided to prepare for and take all five certification exams within six weeks and ended up passing them in the first attempt. The goal of my blog is to help Salesforce administrators, developers and end users find answers to the most common problems. I am quite active on the success community and well aware of the challenges that the users face on a daily basis. I will try my best to cover as many of them as possible and provide you with a solution that makes you exclaim, ‘Wow, this was easy!’. administrator, developer or Salesforce end user. CodeSWAT is a company of highly-trained Salesforce.com professionals who specialize in dealing with complex Salesforce.com software development challenges. With our years of experience in helping businesses improve Salesforce.com deployment, we have created a business model that helps us find the right Salesforce.com professionals for your business. The CodeSWAT squad is composed of result-driven professionals dedicated to provide our clients with lasting success from software development and related interests. We offer services in application customization and development, integration and administration. All CodeSWAT developers and administrators are certified by Salesforce. I have been working in the Salesforce Domain for more than 4 years now, handling both Configuration and Customization implementations. Been part of the team implementing Salesforce.com applications for a leading telecommunication services company, Insurance and Health Sectors. Got extensive exposure to various facets of cloud implementation pertaining to Salesforce. My primary role is to assess the initial requirement and provide a solution in the form of a POC or demo to the Client and zero in on the exact set of requirements. I'm well equipped with Migration Activities. Handling monthly deployments using Version Control Systems. Worked on Tortoise SVN and Force.com IDE for the implementation of the same. Looking forward to learning from associations with experienced people in the field and for better working and learning opportunities with great people. 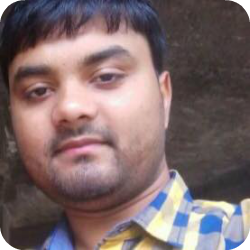 I am Pritam Shekhawat working as a Salesforce.com Developer in Hytech Professional India Pvt Ltd, Noida. I am Salesforce.com force.com certified developer and Certified Administrator.I am Experienced with Administration, Configuration, Customization, Development and Support experience on Salesforce.comI am experienced SFDC Configurations/Customizations – User Interface, Page Layouts, Tabs, Custom fields, Custom objects, Validation Rules, Triggers.Experience in SFDC related technologies such as Apex, Visual Force, Web Services API,Extensive experience over creating workflows, approval processes, validation rules and sharing & security rules.